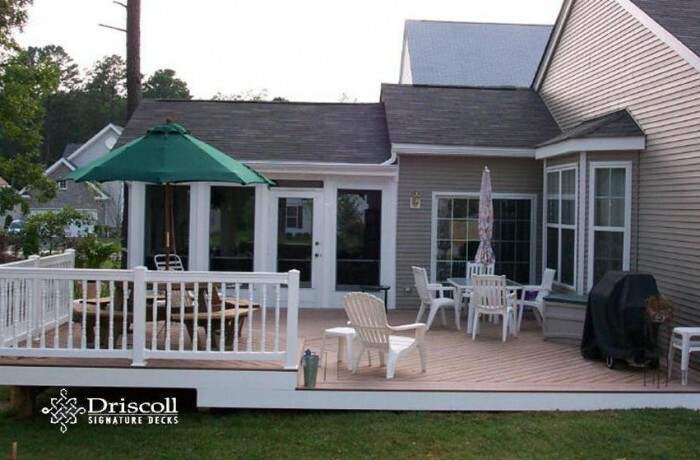 You will find quality deck designs, consultation and excellent craftsmanship when you search for Driscoll Signature Decks at Deck, Decks, Deck Builder, Deck Contractor, Decks NJ, Deck Builder NJ, Deck Contractor NJ, Margate Decks, Decks Margate NJ, Deck Margate, Deck Margate NJ, Margate Decks, Margate NJ Decks, Margate Deck, Margate NJ Deck, Deck Contractor Margate, Deck Contractor Margate NJ, Margate Deck Contractor, Deck Builder Margate, Deck Builder Margate NJ, Margate Deck Builder, Margate NJ Deck Builder, Margate NJ Deck Contractor. 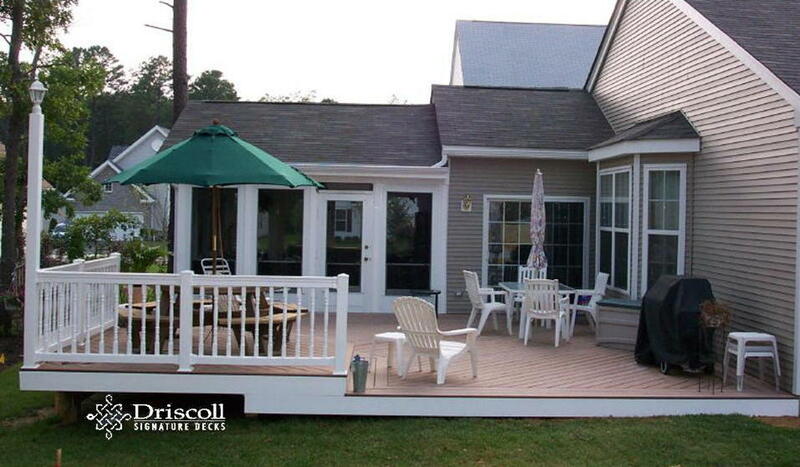 We started with this plan, which called for a 16’6″ x 14′ Screened-in Porch (SIP) with a 28′ x 24′ custom deck, with a 10′ step-up octagon dinning area. 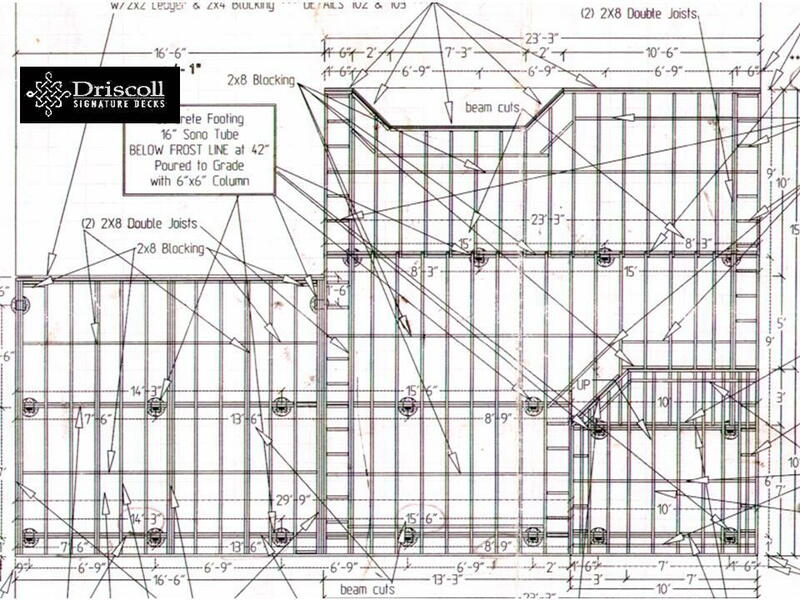 We always start with Driscoll Signature Robust framing. Please note the pre-set white vinyl posts for the screened-in porch and the ‘stick-built’ gable roof as an extension to the existing roofline, just 2-clicks lower. 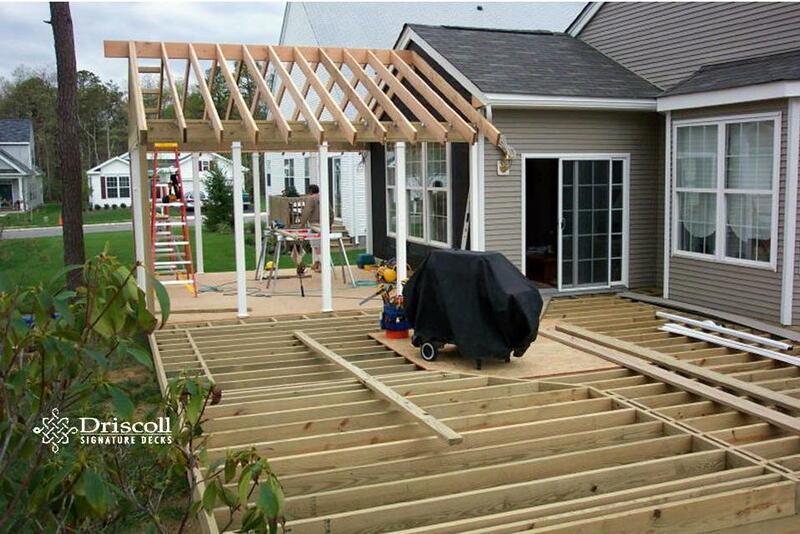 In the foreground you might be able to notice the step-up octagon framing. 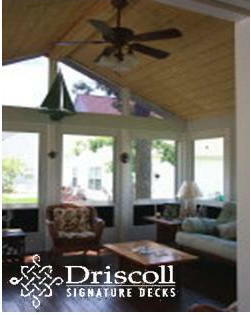 Now there a Driscoll ‘Signature’ Outdoor Entertainment Space with a step-up octagon and nice sized screened-in porch. Note the matching roofing shingles and white trim, kinda looks like it was installed by the original builder, no? 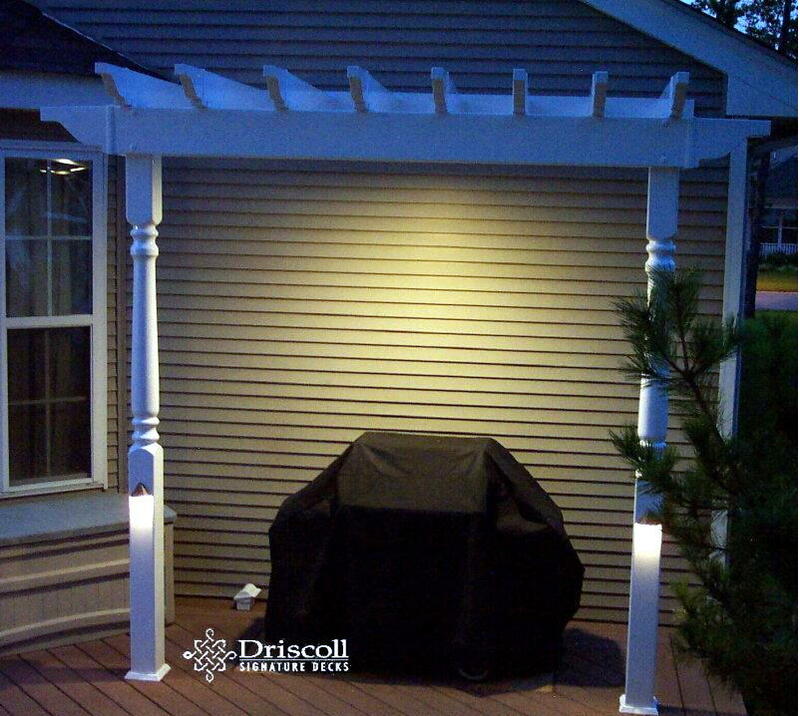 This pergola with overhead lighting was added for ‘night grillin’ and of course lovo accent lights on the pergola posts. There are actually 28 lovo lights on this deck and the surrounding landscape. There is nothing like relaxing on a screened-in porch with the feeling of being outdoors, in a beautiful bug-free indoor environment like this.